Chef Andy Allen joins Kathie Lee and Hoda to share a tasty summer dish. He's been working with TODAY sponsors Visa Checkout and Williams-Sonoma on some time-saving summer recipes and tips. 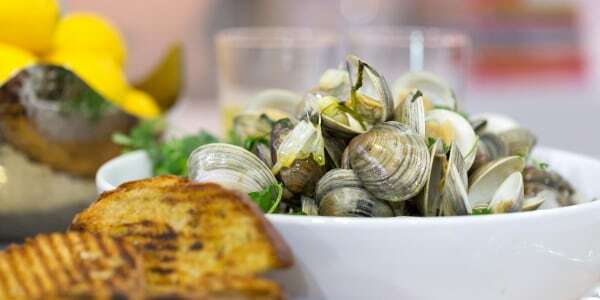 Try his simple recipe for steamed clams with grilled garlic bread, sure to be a crowd-pleaser.